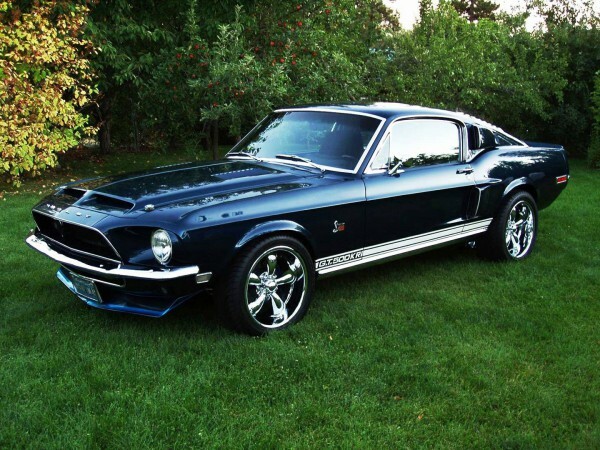 Fantastic 1968 Ford Mustang GT: The King Of The Road! 1968 Ford Mustang GT Shelby GT350 was first presented in 1965, along with its V-8 engine that pulled off 306 horses. Nevertheless, the 1966 Mustang has been the first and only car that has been parked on the observation deck at the Empire State Building, on the 86th floor. Mustang car has become a world-wide mania, after the 289-cid V-8 “Hi-Po” engine became available. The 1967 Mustang became the trade mark for Mustang design in the 60s. The 2+2 model went to a full fastback roofline with longer nose, mean-looking grille and separate triple tail lamps. In 1968 Shelby GT500 became the King of the road thanks to the introduction of the 428 Cobra Jet Engine as an optional package. So, turn the speakers on and enjoy the extreme burnout by the 1968 Mustang Fastback Shelby!